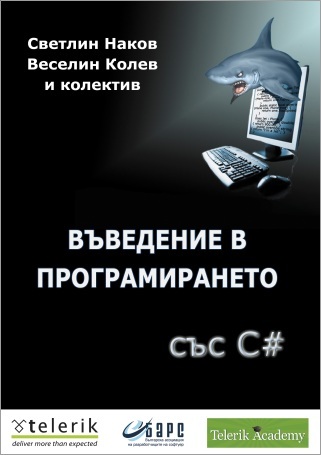 Yesterday evening I understood that officially appeared the second book “Introduction in the Programming with C#” (in Bulgarian), in which writing I took part of. In the book are considered a series of lessons in programming – starting with programming basics, development environment, variables, operators, arrays, loops and introducing more complex concepts as recursion, fundamental data structures and classical algorithms, lists, trees and tree-like structures, graphs, hash-tables, algorithms complexity evaluation, Object-Oriented Programming (OOP), LINQ queries and construction of quality programming code. I want to note that this is an open source book, as the e-version is free of charge and can be downloaded from the official book site http://www.introprogramming.info/ or from the working one – http://code.google.com/p/introcsharpbook. 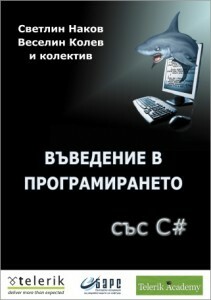 Also, the book could be read on-line on the following address – http://www.introprogramming.info/intro-csharp-book/read-online/. According to the organizers, the paper copy of the book is expected to be published at the end of September 2011. Although “Introduction with programming with Java” is my favourite book (because it was my first one and because it was Java-related), I think “Introduction in Programming with C#” in much better book, because the content was extended. Nevertheless, I find the Svetlin’s opinion to extreme, saying that “Introduction in Programming with Java” “in general is not recommendable” for beginning programmers. Of course, he has got his own motivations to recommend the new book, but I think that the older book is with extraordinary quality and is a wonderful textbook in introduction to the programming. 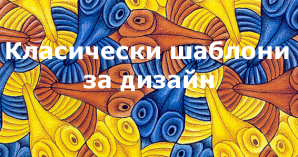 I hope that with the projects, similar to this one, which unite people with close ideas, interests and desire to contribute to the society without expecting something in return, won’t be separate events but will turn into a tendency. Who knows, maybe more people will stop complaining for the state of the country, will wake up their creativity and will understand that the only hope to get on our feet again and to move ahead to a more bright future is hidden in ourselves.